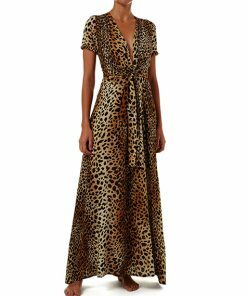 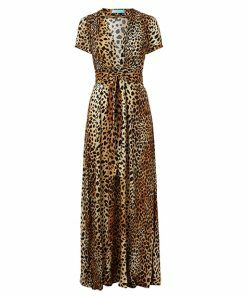 Ideal for wearing to transition your look from day to night, the Lou v-neck short sleeve belted maxi dress creates a sophisticated look in a bold Cheetah print. 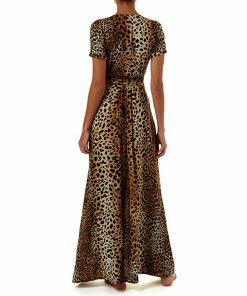 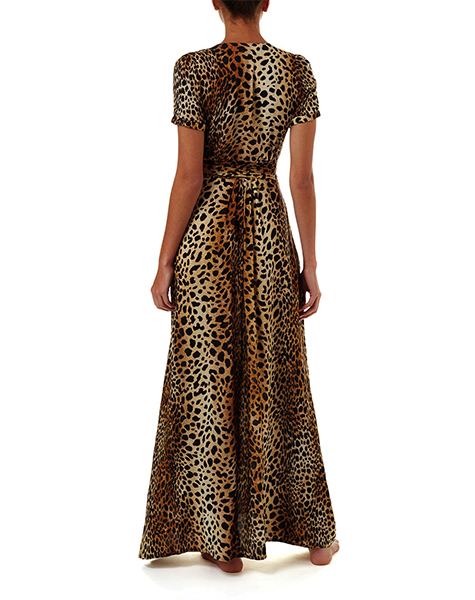 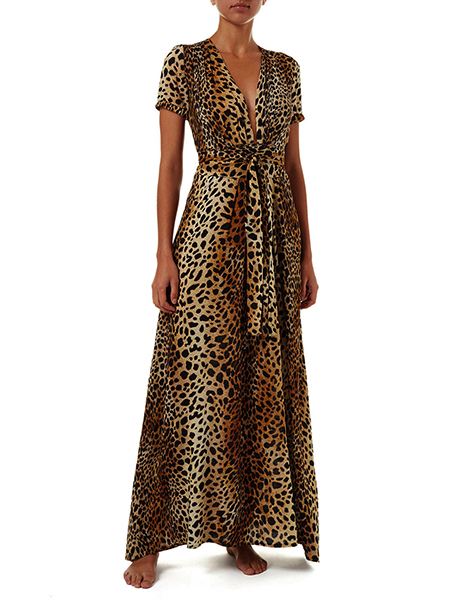 The classic animal print lends itself to the breezy skirt of the floor-length dress creating the perfect amount of drama; cinched in at the waist by a fabric belt to complete the feminine silhouette achieved by the chic plunging neckline and short sleeves. 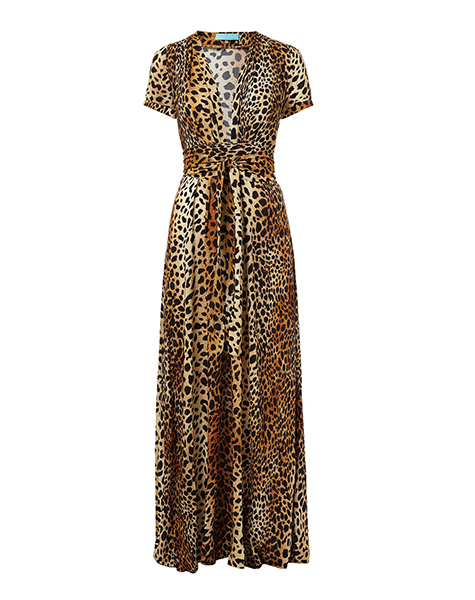 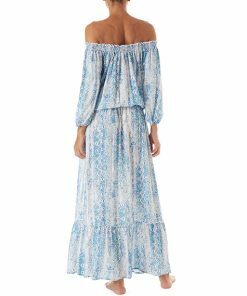 Style the Lou dress with simple black flip flops to create a timeless look.